Friday Morning Message on a Thursday! 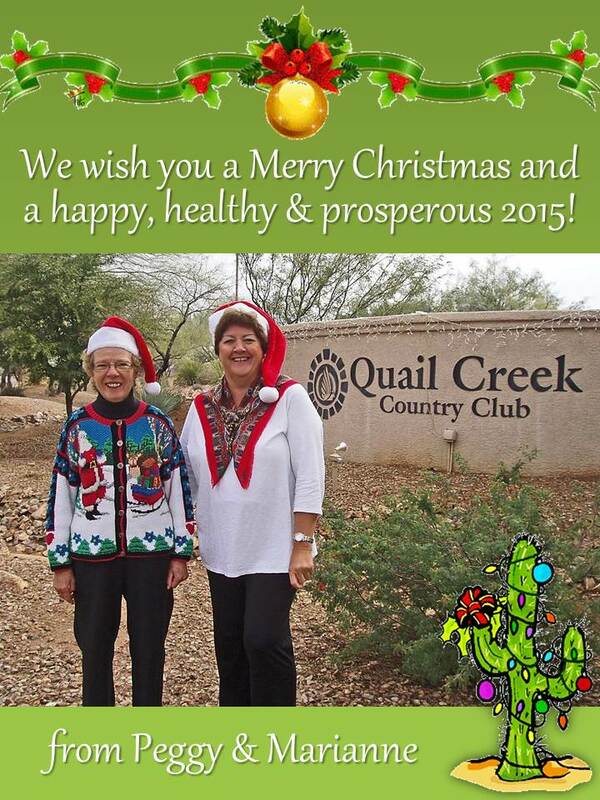 Peggy and Marianne are both spending Christmas with their families. The regular Friday Morning Message will resume next week. 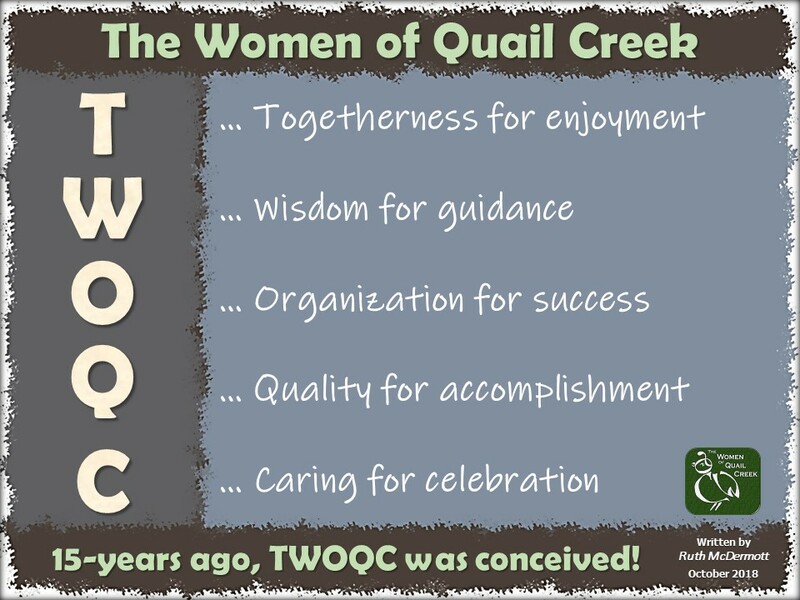 This entry was posted in Announcements and tagged green valley, quail creek, quail creek country club, the women of quail creek, twoqc, twoqc facebook. Bookmark the permalink.